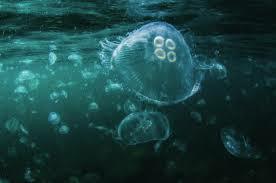 Jellyfish are important sea animals, and public awareness of them has increased in the last 40 years due to the outbreaks of Pelagica noctiluca in the Mediterranean Sea and later Mnemiopsis in the Black Sea. Bayram Öztürk from the Istanbul University and colleagues published a book with support of the Turkish Marine Research Foundation (TUDAV) about „Jellyfish of the Black Sea and Eastern Mediterranean Water“. Learn more about jellyfish online and enjoy it.